This Tom Kirchhoff designed home is 6,819 sf situated on 16,378 sf corner lot of Esplanade Way and North Ocean Way. Custom design and finishes by internationally known and highly awarded designer, Marc Michaels Interiors. Built in 2000: this home features an elevator, fireplace two-car garage, eat-in kitchen with breakfast nook, and an exercise room. Ample outdoor space with summer kitchen, balcony, loggia, and pool. This estate provides a great outdoor living experience with unparalleled peace and quiet just two homes from the beach. 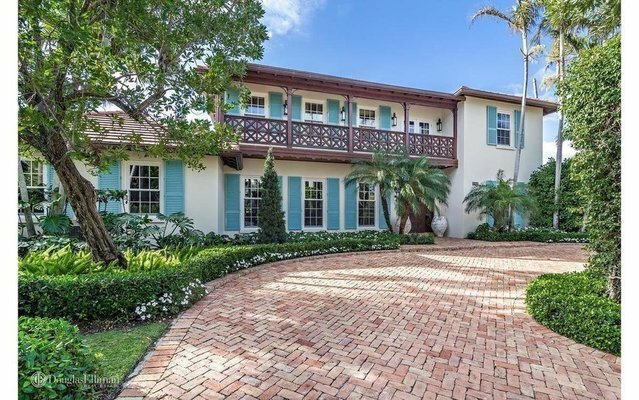 Experience all that Palm Beach has to offer from peaceful Esplanade Way.